All Priority products are available in the cloud (SaaS) or as an on-premise installation. As one of the first ERP software vendors to fully support SaaS, today, Priority boasts over 1,500 customers successfully running Priority’s cloud ERP systems. The first phase of any implementation allows us to identify problems, understand demands and define the proper solution from within Priority. The goal of the analysis phase is to adjust expectations. On the one hand, the customer has a level of expectations from the system, which, regardless of the rigorousness of the selection process, may not align with system capabilities. On the other hand there is the abilities of MedaTech and capabilities of the Priority system executable within a finite budget and timeframe. During the analysis phase the two need to be equated. Adjusting customer operation to the system. Adjusting the system to the customer’s requirements. Plan of time & material. List of enhancements & setting fixed budget for those. During the analysis phase, every operation in the company is being explored, working procedures are redefined and how each department will use the Priority system is fully defined. 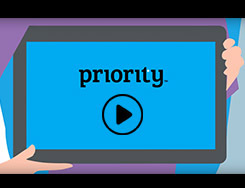 Often there will be a new definition of working procedures, sometimes a definition of required enhancements to Priority. Usually both will be executed together. In principle, the need to work with the standard system as is and do the minimum of enhancements is of paramount importance. The customer and MedaTech have a much better understanding of how Priority would be used in this environment. The customer has a better understanding of the system & MedaTech has a better understanding of the customers and their business. A final analysis document, which the customer approves, defines the way the system will work at the customer’s site(s). This is achieved by means of working procedures and data flow and by means of enhancements/modifications required for the standard system. If data conversion is required it is also defined in the analysis document. We need to emphasize that the analysis only applies to customer unique issues and does not include a full description of the standard system, this description can be found in the product description file. This approach is, again, devised to minimize the overhead of the implementation process. During this stage, Medatech executes enhancements according to the analysis results. The modifications are programmed according to strict development procedures that have been developed throughout many years of experience and hundreds of implementations. Modifications are an integral part of the standard system. The modifications will not affect the system’s capability of being upgraded in the future. Minimization of the possibility for bugs. Modifications are checked and approved by the customer. Reacting to the customer’s dynamic needs. The Priority consists of built-in uploading procedures for most of the software infrastructure (static) data. Other data can be uploaded using specially developed upload procedures. In this respect it must be emphasised that the system includes an advanced data-loading generator that allows rapid development of upload procedures with the minimum of bugs. This operation uses the system’s business rules that are inbuilt within the forms, ensuring that there is no possibility of generating corrupt data by bypassing the business logic. Medatech will guide the customer in the selection of the necessary hardware and network required at every site.Purchase of the hardware and infrastructure can be done via Medatech – this is the preferred option.